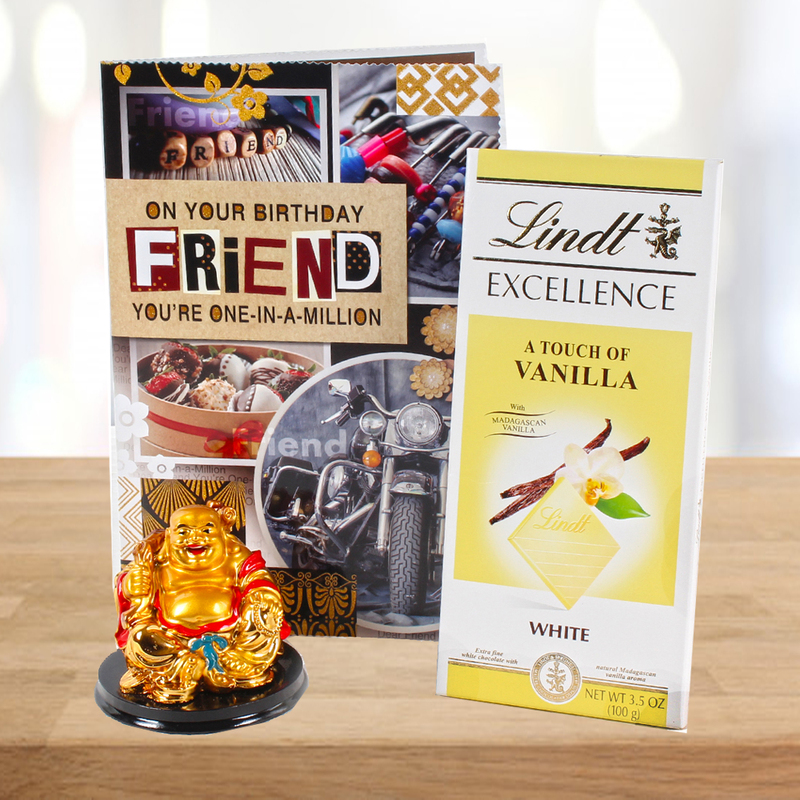 Product Consists : Laughing Buddha, Friend Birthday Greeting Card along with Lindt Excellence White Chocolate with a Touch of Vanilla (Weight : 100 Gms). Send cherish moments by presenting this Birthday wishes card for your bestie on her or his birthday. 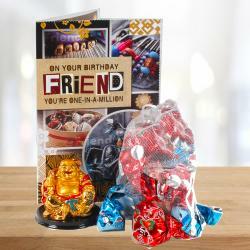 A lovely way to wish your best friend the happiest birthday ever, this card will make for a wonderful way of making yours Friend day extra special. Words alone are not enough to express as how you want your dear ones to feel more happy so celebrate another year of your bestie with some chocolaty sweetness. 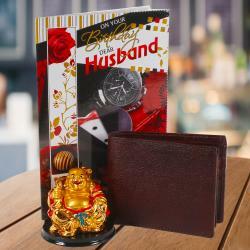 We have clubbed this combo with Laughing Buddha and Lindt Chocolates. Laughing Buddha to call in positive energy in your life and good luck , fortune etc. The symbol of power , money and happiness. Grab this laughing Buddha showpiece and make your home beautiful as your life. Beautified with a lovely message, this Birthday card is sure to be an ideal way of telling your Friend how lucky you feel to have them in your life. Lindt Excellence offers chocolate lovers a unique and sophisticated sensory experience for the ultimate chocolate pleasure. The Lindt EXCELLENCE With A Touch Of Vanilla chocolate bar is our luxuriously smooth and creamy white chocolate with real vanilla pods. This sublime white chocolate is infused with Madagascan vanilla delivering unrivaled flavour intensity. Expertly crafted with the finest ingredients by the Master Chocolatiers at Lindt. 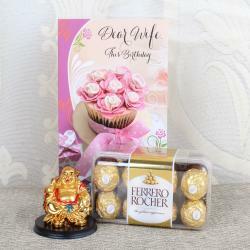 Product Includes : Laughing Buddha, Friend Birthday Greeting Card along with Lindt Excellence White Chocolate with a Touch of Vanilla (Weight : 100 Gms).